The Tokyo Gas Group pursues diverse forms of engagement based on its Stakeholder Engagement Policy. Moreover, we receive opinions from our wide-ranging stakeholders and actively adopt valuable suggestions for our business. The Tokyo Gas Group’s business brings it into contact with a wide range of stakeholders. Guided by our Corporate Action Philosophy and Code of Conduct, all Group executives and employees have sought to develop good relationships with stakeholders and work together with society toward achieving sustainable growth. In conducting our operations, we must understand stakeholder expectations for the Tokyo Gas Group and how they evaluate Group performance as well as our own responsibility for stakeholders. That knowledge must then be applied to decision-making and business operations to maximize value creation and minimize negative impacts. We also emphasize developing sound relationships and partnerships with stakeholders and enhancing the transparency of our business activities. We engage with our stakeholders through two-way communication to achieve these goals. Our stakeholders are individuals and organizations who are interested in the decision-making and business activities of the Tokyo Gas Group. To further increase the significance of engagement with stakeholders, we associate them with the following categories: (1) those who could be directly or indirectly impacted by our operations, products or services, or who could impact our operations; (2) those with whom we maintain an economic, social or environmental responsibility; and (3) those who can provide a diverse perspective on our operations, products or services. The division or site that is most closely related to stakeholders serves as the contact point and takes responsibility for establishing two-way communication with them. Toward making further improvements, the results of engagement are shared within the relevant division, as well as with the Corporate Communications Promotion Committee as necessary. 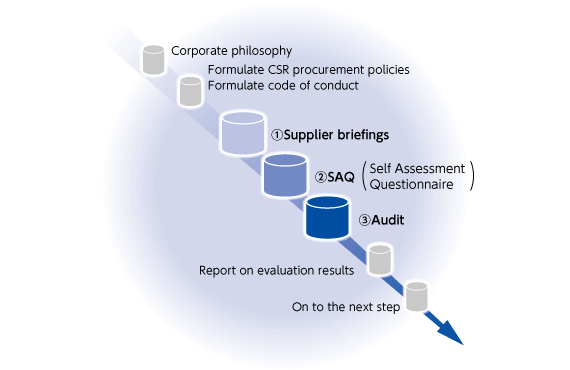 Information is disclosed through such means as our website and CSR reports to maintain our PDCA cycle. Also, we raise employee awareness of stakeholder engagement through training and other activities. • Provision of information on energy, the environment, household facilities, appliances, etc. • Provision of tips for everyday life on cooking, conserving energy and saving money, etc. • Provision of opportunities for the active engagement in sports through soccer coaching, tournaments, etc. • Provision of fair and equitable business opportunities through disclosure of standards, policies, etc. • Joint research contributing to safety, meter reading, safety services, etc. We aim to be a corporate group that achieves continuous growth by diligently fulfilling our social responsibilities. To realize this, we will communicate and engage in dialogue with our stakeholders, listening to their opinions and requests regarding the overall business activities of the Tokyo Gas Group, and relaying what we learn into improving our daily business activities. We received diverse comments during the year on various aspects of our daily business from people in a wide range of social positions. We will continue with our efforts to incorporate the voices of our stakeholders into our business activities to the greatest extent possible. Our responsibilities are broadening as we expand our operations as a total energy company and pursue regional expansion on a global scale. Practicing good supply chain management in cooperation with our business partners is consequently becoming ever more important as a means not only of managing quality and prices, but also of addressing issues in such domains as the environment, human rights, and working conditions. For our key stakeholder dialogue event of fiscal 2016, we invited in Hidemi Tomita, Senior Project Principal at Lloyd’s Register Quality Assurance Limited, to discuss the perspectives that Tokyo Gas Group needs to adopt and the challenges it must address in order to incorporate good CSR practices into its procurement operations, paying particular attention to the sourcing of LNG and materials that forms the core of Tokyo Gas’s procurements. Cetus & General Press Inc. Note: The company names / titles are the ones at the time. Mr. Tomita graduated from the Faculty of Engineering at the University of Tokyo and obtained his Master from Princeton University. He was executive manager of Sony Corporation’s CSR department for some 10 years from its inception, and was later appointed a task group convenor for the ISO 26000 Working Group. Since the development of the ISO 26000 standard, he has been an active member of ISO 26000 PRO-SAG. He is also a member of the GRI Global Sustainability Standards Board (GSSB) for the development of new disclosure standards, and Japan expert for the ISO 20400 standard for sustainable procurement. Two key goals of Tokyo Gas’s Challenge 2020 Vision are the transformation of the Group’s business structure and broadening of its business base. Given the uniqueness of the gas business and the diverse lines of business that it pursues, Tokyo Gas needs to conduct risk analyses of its supply chains in each area of business. Although not shown in the figure opposite depicting the steps toward CSR-sensitive procurement, risk management is of the utmost importance and should be made the first step in supply chain management by the Group. In addition, although various initiatives are currently being pursued from the bottom up by each business division, it is possible that important issues may not be properly addressed when viewed from an overall perspective unless action is pursued in an integrated manner in accordance with a company-wide policy. It would best to pursue these initiatives as a company-wide effort while sharing information among all departments. As each sector of the energy industry and each utility has its own distinctive features and challenges, Tokyo Gas should work as far as possible in collaboration with other companies in the same sector to improve efficiency, rather than simply using pre-existing schemes. We currently procure LNG for making city gas from five countries under long-term contracts. To take the example of our Australian projects, which account for the bulk of our procurements, we meet requirements by performing to a high standard in areas such as concern for the environment, local employment, provision of vocational training, sensitivity to human rights, and communication with local communities. As our sources will diversify further in the future, we will be paying even greater attention to the factors that should be taken into consideration in supply chain management. In order to practice good supply chain management, Tokyo Gas first needs to consider what policies to pursue as a group, and then make these policies known to its business partners and keep track of conditions at those business partners. It is important that Tokyo Gas be proactively involved in this process. In the case of new development projects, it needs to first conduct proper preliminary surveys and, if using existing assessment tools, it should properly determine that they are in fact compatible with the Group’s policies. While our Basic Requirements for Purchasing demand good practice in regard to compliance, environmental conservation, risk control, and consideration for labor and human rights, we recognize that these requirements need to be rethought from an international perspective. We currently take a PDCA approach to managing procurements by surveying our business partners’ actions on compliance, the environment, and so on, as well as their business profiles, and providing feedback on our findings. We value building trust with our business partners. We give them tours of various facilities and engage in dialogue to give them greater insight into the gas business. We also visit our business partners’ manufacturing facilities. As we cannot visit them all, however, we need to find better ways of keeping track of overall conditions. As Japanese firms are also now globalizing and thus face evolving challenges depending on the global situation, they need to take international standards as well as Japanese standards into account when surveying suppliers. There is also much that cannot be discovered from surveys alone. It is surprisingly difficult to get proper answers, due for example to the giving of inaccurate responses or failure to understand the point of a question. It is important not only to ascertain conditions on the spot, but also to provide opportunities for information to be shared. Communication with business partners should be continuously maintained. It is not presently necessary to expend too much effort trying to visit all business partners. Tokyo Gas should instead survey a sample of the places that pose the greatest risks so as to study and identify overall trends, and then follow up with audits and other investigations. It is often not possible to get to the heart of a problem just by surveying large, primary suppliers. The Group should therefore identify where the risks lie and decide where to survey by ascertaining how its supply chains are structured. It needs to determine, in other words, what kinds of things it purchases and by what processes they are made. In the years ahead, we aim to shift from what we call the ”Mount Fuji-style of management” dominated by a single core business, namely the city gas business, to what we have named the ”Yatsugatake (mountain range with several peaks) -style of management” with multiple core businesses. This will require us to think of our supply chains holistically from the point of view of the governance of the Group as a whole, and we recognize that how we go about doing so will be a key management question. Recent years have seen the emergence in various industries of schemes for joint supply chain management and one possible approach would be to draw on these examples. As supply chain concerns differ depending on the line of business, it would be important in this case to analyze the features of each area of business the Group is engaged in to ensure that schemes of this kind are applied properly. Another possible approach is to consider also adopting assessment indices that are suited to Tokyo Gas while drawing on practice by leaders in the field overseas in order to identify likely risks. There is not necessarily any need to strain too hard to adopt tools and frameworks. While our business divisions are each pursuing various measures, today’s dialogue served as a powerful reminder that companies face a dramatically changing environment, that the time has come to take serious action to make CSR an integral part of supply chain management, and that it is vital that we determine what direction our management should take. With the Group globalizing as a total energy company, we believe that we need to ground our actions in a greater awareness of world trends than we have hitherto. Based on the advice received, we will consider what action we should take in the context of the governance of the Group as a whole, and we will proceed to take steady action one step at a time, bearing in mind practice at other companies and the demands of society. Having adopted evolution of the total energy business, acceleration of global business development, and construction of a new group formation as its Main Policies FY2015-2017, the Group continues to review its key CSR activities in line with these policies as it works to further raise the standard of group-wide CSR. 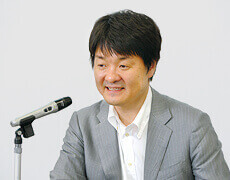 As part of these activities, we invited Toshio Arima, Executive Advisor at Fuji Xerox Co., Ltd., to speak at our key ”Stakeholder Dialogue” event in fiscal 2015. He addressed perspectives and challenges that global businesses should consider in order to practice good CSR, and the event provided many useful insights that will help guide the Group’s future CSR activities. We hold a CSR workshop for our employees to help them gain a flexible grasp of changes in public expectations and to learn to perceive social issues as issues that concern them personally. This workshop was prompted by the expansion of our business base driven in particular by the Group’s accelerating globalization, and it took as its theme the Sustainable Development Goals (SDGs), which will be a shared challenge for all the world in the years up to 2030. Learning through a game format, the participants looked at the mountainous environmental and poverty-related challenges faced by both developed and developing countries, and energetically discussed how Tokyo Gas Group can play its part in the international community by helping to tackle these challenges. Participants observed that many of the challenges that will be faced leading up to 2030 will also present business opportunities. 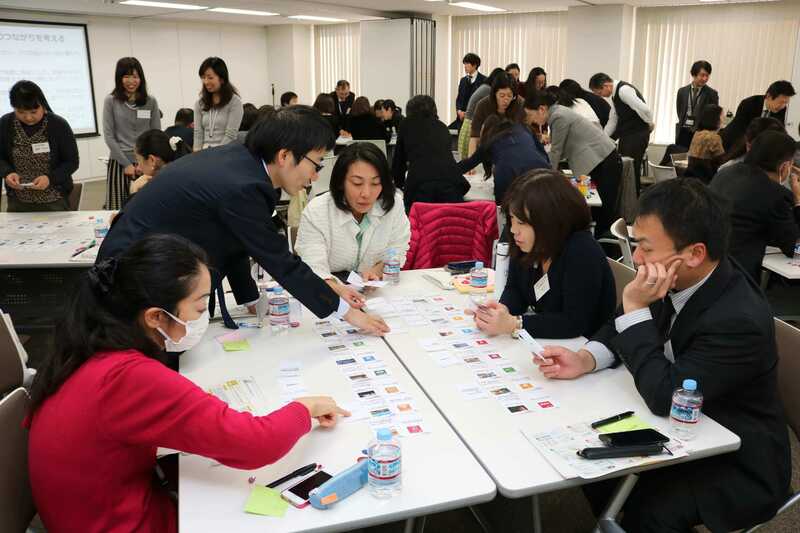 We asked Makiko Akabane, Director of CSR Asia’s Japan office, to lead a CSR workshop for our employees to help them gain a flexible grasp of changes in public expectations and to learn to perceive social issues as issues that concern them personally. Ms. Akabane introduced a number of examples of the social issues now arising in Asia and elsewhere, together with the initiatives being pursued by companies around the world to address them. During the group work session, the participants actively discussed the issues raised by several hypothetical projects (such as how to provide support for a rural community with no infrastructure). Afterwards, the participants commented that the workshop had demonstrated to them the importance of seeing things from the point of view of what society expects of a company, and how utilizing a company’s own strengths to solve social issues can also create new business opportunities.